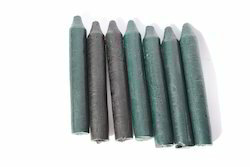 When it comes to reliable mark making instrument then ourMarking Chalksfit the bill. They work with ease on Rubber, Tire and HDPE surfaces. They are perfect for usage in rubber and tire industry. It ensures that the marks remain long so that the measurements go accurate. It is one of the most comprehensive tools for marking and numbering the batches. We ensure that the end product is customized to client requirements. Export Quality Marking Chalk ideal for use in Tyre , Rubber , Glass , Wood, Metal Industries for marking on surfaces. 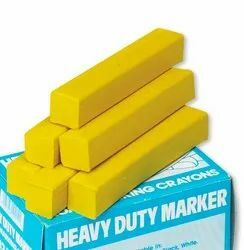 When it comes to reliable mark making instrument then our Marking Chalksfit the bill. They work with ease on Concrete Roads , Cemented Roads as well as Rubber, Tire and HDPE surfaces. They are perfect for usage in road construction companies. It ensures that the marks remain long so that the measurements go accurate. It is one of the most comprehensive tools for marking and numbering on roads. We ensure that the end product is customized to client requirements. 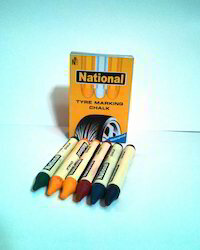 When it comes to reliable mark making instrument then Tyre Marking Chalk fit the bill. They work with ease on Rubber, Tire and HDPE surfaces. They are perfect for usage in rubber and tire industry. It ensures that the marks remain long so that the measurements go accurate. It is one of the most comprehensive tools for marking and numbering the batches. We ensure that the end product is customized to client requirements. A visible mark and perfect lines are the two qualities of Wax Marker that make them perfect for many surfaces. They are apt for marking leather, rubber, wood, plastic, glass metal etc. They are of superior quality and comply with the international standards. They are available in various colors like black, white, red, green, and yellow and blue. We procure the best raw material to ensure perfect results.